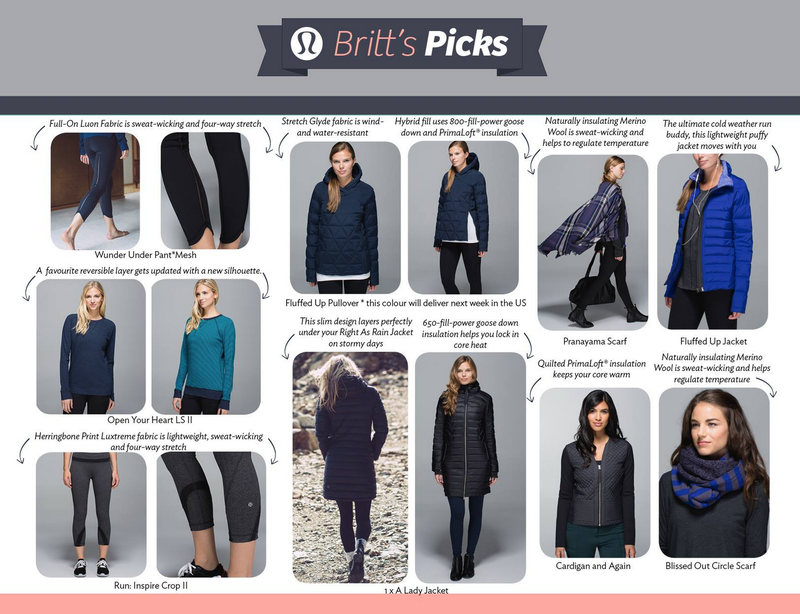 Britt’s Picks and uh-oh…lots of items I like. I definitely need the Herringbone Inspire Crops but I am lusting over the Pranayama Scarf. I have a thing for plaid scarves these days and this one is gorgeous. The Open Your Heart LS is back but with an updated fit. I see they added a cuffed hem to it. I love my OYH LS but I already have three from last year so I’m good for LS shirts. "Heathered Boom Juice Think Fast LS and Fluffed Up Vest"
"Fluffed Up Jacket, Fluffed Up Vest, Hot Cheeks Shorts"